Nafeesa Hossain is photographed in Savar, Bangladesh. 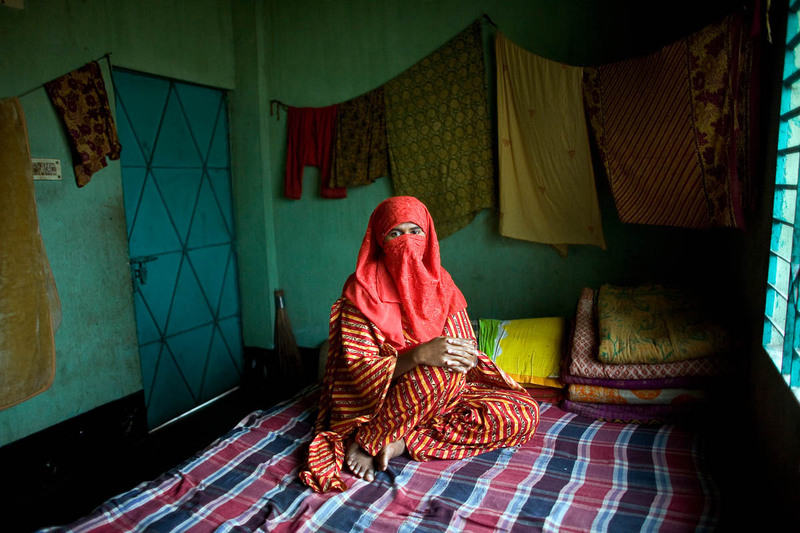 Hossain is 21 years old and has been working in the garment industry for 6 years. She currently works in a factory which is part of Asda George's pilot project which claims it has made significant improvement with wages and productivity. Hossain currently earns 5,500 taka a month (around 47 pounds).